You can frighten a vindictive narcissist and let his paranoia run amok – or lure him with promises of narcissistic supply. Example: If a narcissist has a secret – one should use this fact to threaten him. One should drop cryptic hints that there are mysterious witnesses to the events and recently revealed evidence. The narcissist has a very vivid imagination. Let his imagination do the rest. Most narcissists have been known to disown and abandon a whole PNS (Pathological Narcissistic Space) in response to a well-focused campaign by their victims. Thus, the narcissist may leave town, change his job, abandon a field of professional interest, avoid friends and acquaintances – only to relieve the unrelenting pressure exerted on him by his victims. You don't have to do much except utter a vague reference, make an ominous allusion, delineate a possible turn of events. The narcissist will do the rest for you. He is like a small child in the dark, generating the very monsters that paralyse him with fear. Needless to add that all these activities have to be pursued legally, preferably through the good services of law offices and in broad daylight. If done the wrong way, they might constitute extortion or blackmail, harassment and a host of other criminal offences. The other way to neutralise a vindictive narcissist is to offer him continued Narcissistic Supply until the war is over and won by you. Dazzled by the drug of Narcissistic Supply, the narcissist immediately becomes tamed, forgets his vindictiveness and triumphantly takes over his "property" and "territory". The aim of this type of vengeance is to restore justice and, with it, the victim’s view of the world as orderly, predictable, and causal. Perpetrators should be punished; victims should be soothed and elevated; and society should publicly acknowledge who is who and mete out opprobrium and succour respectively. This type of revenge tends to devolve into an obsession (intrusive, uncontrolled thoughts) and compulsion (an irresistible urge to behave in a way that is sometimes inconsistent with one’s values or even true wishes, or incommensurate with one’s skills, needs, long-term interests, capabilities, or wherewithal.) It is unhealthy and, in the long-term, counterproductive as it taxes the victim’s time and resources; adversely affects her other relationships; renders her dysfunctional; and, ultimately, consumes her. Vindictiveness is the narcissist’s way of restoring his self-imputed grandiosity and of recuperating from a narcissistic injury. Having fallen prey to malfeasance or crime, the narcissist is proven to be gullible, ignorant, and helpless. This experience is humiliating and the circumstances of victimhood contrast sharply with the narcissist’s inflated view of himself as omniscient, omnipotent, brilliant, shrewd, and perfect. 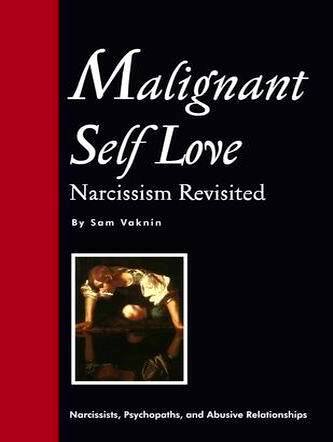 Only by bringing the culprit to utter ruin does the narcissist regain his sense of self. Ask yourself if your bruised ego is the main reason for your indignation and spite. If it is, try to separate the elements of your conduct that have to do with your justified grievance and those that revolve around your unhealthy narcissism. Avoid the latter and pursue the former. With this type of revenge, the victim merely wishes to restore her fortunes and reassert her rights – in other words: to revert the world to its erstwhile state by acting against her violator decisively and assertively. This is a healthy, functional, and just way of coping with the pain and damage wrought by other people’s malicious and premeditated misbehaviour.